More of Yuxiang stone products items include: granite vanity tops, granite counter tops, marble vessel sink, marble vanity top, marble bathroom sink, bathroom granite top, bathroom marble counter tops, marble pedestal sink, granite bathroom sink, granite countertop sink, marble top sink, etc. 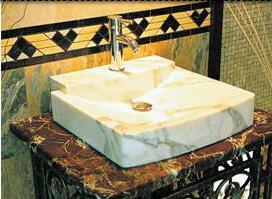 The vanity tops we offer for the residential and commercial use are practical and stylish. 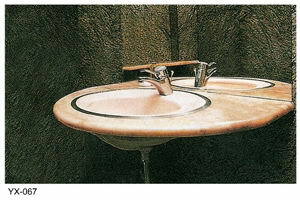 These granite vanity tops, granite counter tops, marble vessel sink are long time durable, water resistant and easy clean. They are the best choice for both hotels and homes. 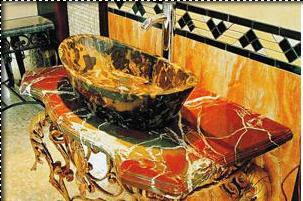 We have good experience in hotel countertop and vanity top project. Hotel and Inn owner or builder or designer or distributor or wholesaler please contact us. 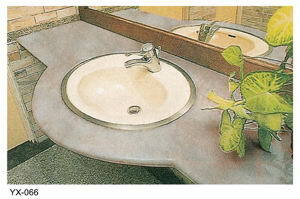 We can supply you vanity top clip and porcelain bowl, which go with granite vanity top. Custom designs and dimensions are available. Granite vanity tops or granite counter tops have unique variations in color and veining turns make each specimen a natural work of art. It is cool to the touch, and presents an image of classic grace and beauty. Harder than cultured marble or solid surfacing, the granite will give a lifetime of service if properly treated and maintained. The polished surface is factory treated with a sealant for easy cleaning and stain resistance. 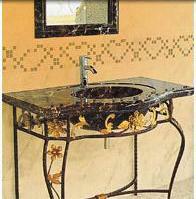 Exposed edges of granite vanity tops, granite counter tops, marble vessel sink are finished with a diamond-polished bevel. Backsplashes are included but not attached to countertop. Black, white and green are the other granite color choices.